Visionary and designer, poet and engineer, R. Buckminster Fuller believed that we must work together as a crew if we are to survive on our planet, "spaceship earth." How did the dreams of a genius turn into a Disney World attraction? When Buckminster Fuller (1895-1983) conceived the geodesic dome, he dreamed that it would house humanity. Constructed of a complex framework of self-bracing triangles, the geodesic dome was the strongest and most economical structure ever designed for its time, first patented in 1954. No other form of enclosure covered so much area without internal supports. The larger it is, the stronger it becomes. Geodesic domes have proven durable in hurricanes that have flattened traditional homes. What's more, geodesic domes are so easy to assemble that an entire house can be built in a single day. The enormous AT&T Pavilion at Epcot in Disney World is perhaps the world's most famous structure modeled after Fuller's geodesic dome. Technically, the Disney pavilion isn't a dome at all! 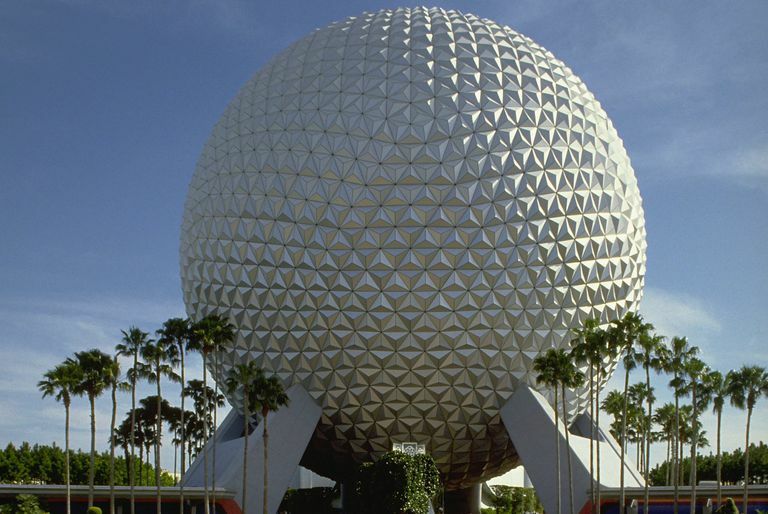 Known as Spaceship Earth, the Disney World attraction is a full (although slightly uneven) sphere. A true geodesic dome is hemispherical. However, there's no question that this Disney icon is "Bucky's" brainchild. Built in 1982, Spaceship Earth at Disney World encloses some 2,200,000 cubic feet of space inside a globe that is 165 feet in diameter. The outer surface is composed of 954 triangular panels made of a polyethylene core sandwiched between two anodized aluminum plates. These panels are not all the same size and shape. Buckminster Fuller had high hopes for his geodesic domes, but the economical designs didn't catch on the way he envisioned. First, builders needed to learn how to waterproof the structures. Geodesic domes are made up of triangles with many corners and many seams. Eventually builders became skilled in geodesic dome construction and they were able to make the the structures resistant to leaks. There was another problem, however. The odd shape and appearance of geodesic domes proved to be a hard-sell for homebuyers used to conventional houses. Today, geodesic domes and spheres are widely used for weather stations and airport radar shelters, but relatively few geodesic domes are built for private homes. Although you won't often find a one in a suburban neighborhood, geodesic domes do have a small but passionate following. Scattered around the world are determined idealists, building and living in the efficient structures Buckminster Fuller invented. Later designers followed in his footsteps, creating other types of dome housing such as sturdy and economical Monolithic Domes. From our architecture glossary, illustration and definition of the geodesic dome, conceived by Buckminster Fuller. Step by step instructions, with diagrams, by Trevor Blake. Fast facts about the life and works of Buckminster Fuller. 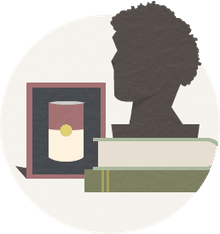 An extensive collection of resources from your Inventors Expert.